I’ve got another great action figure mashup for you to check out today created by Samkwok workshop. 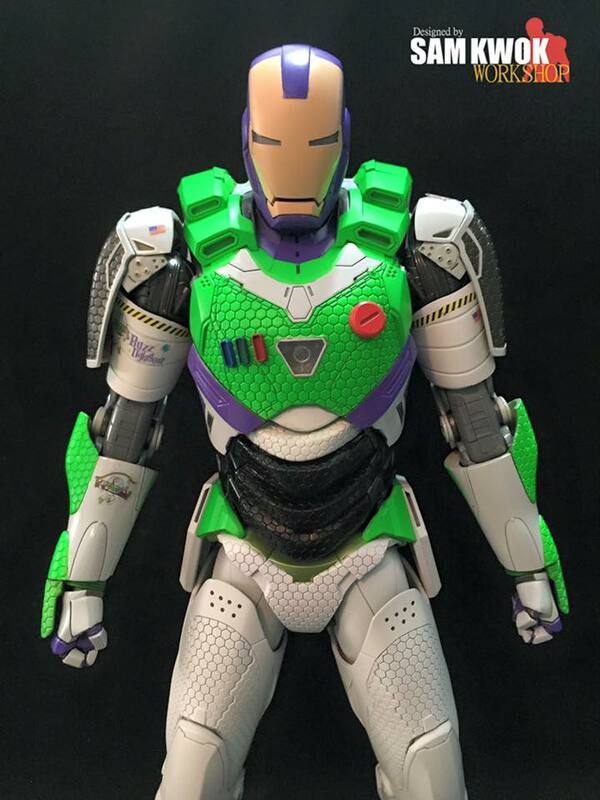 This one mashes together Iron Man with Buzz Lightyear from Toy Story. 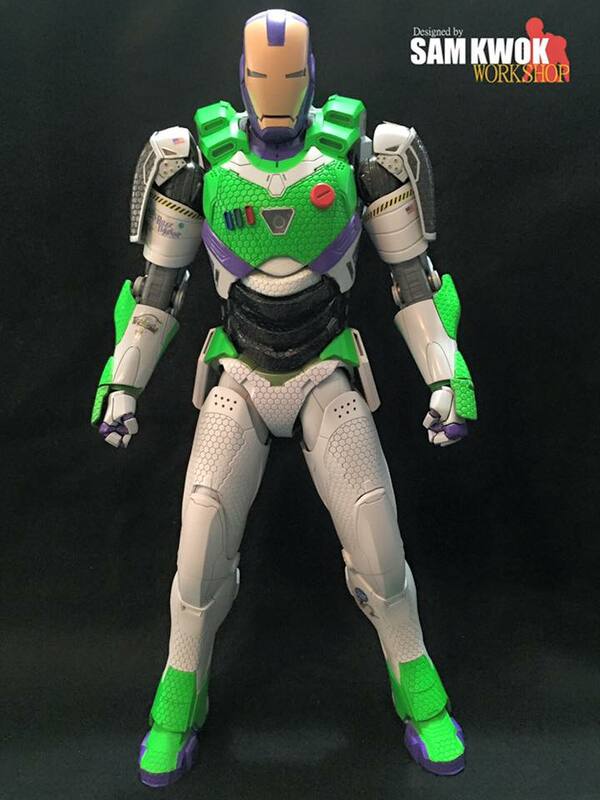 They used a 1/6th scale Iron Man Mark 39 Hot Toys figure as the base, and then they decked it all out will all kinds of Buzz Lightyear awesomeness. This is the same creative shop that made the Xenomorph Iron Man mashup that we previously posted.